Built as a wooden-hulled tug in 1857 at Brooklyn, N.Y. Renamed USLHT General Putnam she was assigned to the 3rd Lighthouse District where she was rammed, sunk and raised at Wilmington, DE. Taken out of service in 1891 and sold in 1893 for $1,825 entering merchant service as SS Putnam, operating until 1896. 12 September 1861 one 32-pdr. 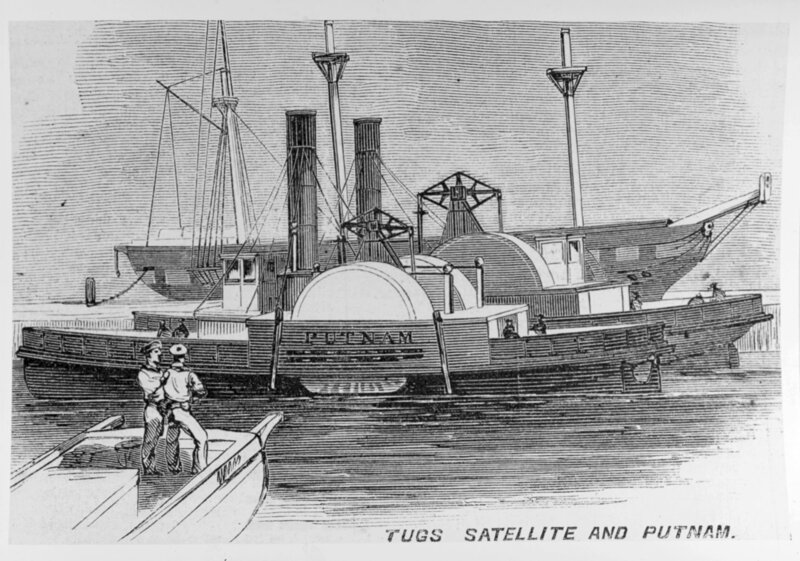 351k Line engraving published in "Harper's Weekly", July-December 1861 depicting former civilian tugs William G. Putnam and Satellite being prepared for Naval service at New York City, circa July-September 1861.